Summer’s over and school has started, an inevitability that is met with mixed reactions from students around the country. For the scholars of Escuela Taller (ET) de Intramuros, the summer was spent in school as part of their two-year curriculum. It is not a curriculum that you would find at more traditional institutions, as it comprises workshops and classes focused on the art of craftsmanship. One can take wood or brick carving, metallurgy, carpentry and masonry from the curriculum menu — all with the goal of producing future restorers and conservators of heritage sites. These skills will allow them to find employment in the field both here and abroad after graduation. I first heard of ET coming to the Philippines back in 2007 when it was about to start its first two-year term. The students were comprised of 75 out-of-school young adults from the Baseco Compound in Manila, who were carefully selected by the ET administration. Aside from an education and a chance to work onsite, the students were provided with free transportation and meals. Although the thrust of ET was aimed towards specific skills (even bringing in lecturers and professionals from abroad), it also made provisions to teach basic mathematics, English, value formation and more “modern” technologies such as plumbing and electrical repair. Even with free transport, meals and the opportunity of a world-class education, there were students who opted to drop out before graduation. Many of them needed to help out their families instead. The school also had its fair share of challenges. Even though Escuela Taller was established in the ’80s and is found in over 17 countries in Latin America and North Africa (Manila being the only one in Asia), it basically still had to write its own manual of processes and procedures, a real baptism by fire — in essence, it was a franchise without a franchisor’s handbook. There were also restrictions that came with the grant it was given, as well as those dictated by local government units and partners. In spite of these challenges and restrictions, ET’s students managed to finish their first term with several projects under their belts, including the restoration of sections of the old city wall, the loggia of Casa Manila and rebuilding the 14-classroomF. Tiongson Building at the Concepcion Elementary School in Malabon. Growing pains aside, ET is now in its second term, with a new batch of scholars hailing from various parts of the Philippines. Students are currently restoring the Almacenes Reales (Royal Storehouse) building just inside the Fort Santiago gate, which was severely damaged during World War II. It is to be reopened as the Intramuros Visitor’s Center upon completion. 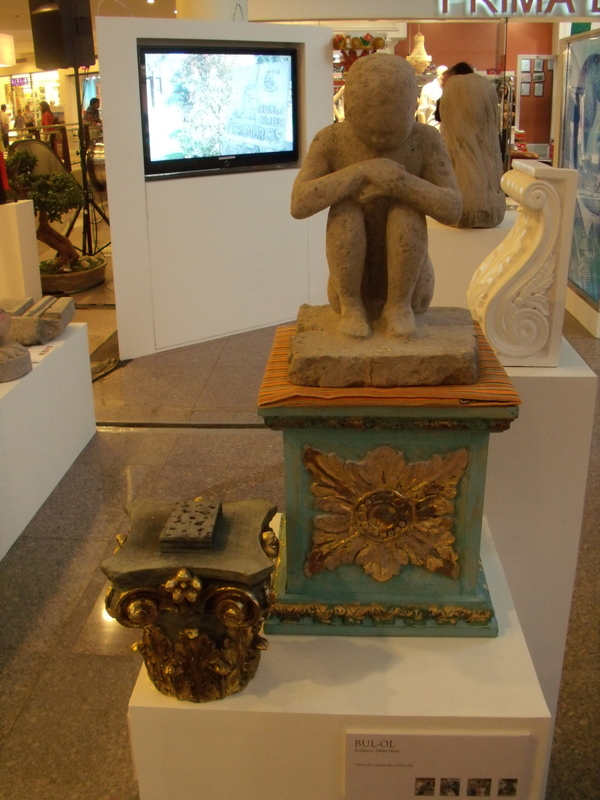 Recently, the school held an exhibit entitled “Homenaje: Restoring a Legacy, Reviving our Heritage,” hosted by the Embassy of Spain and held at the lobby of Greenbelt 3 last June 22. 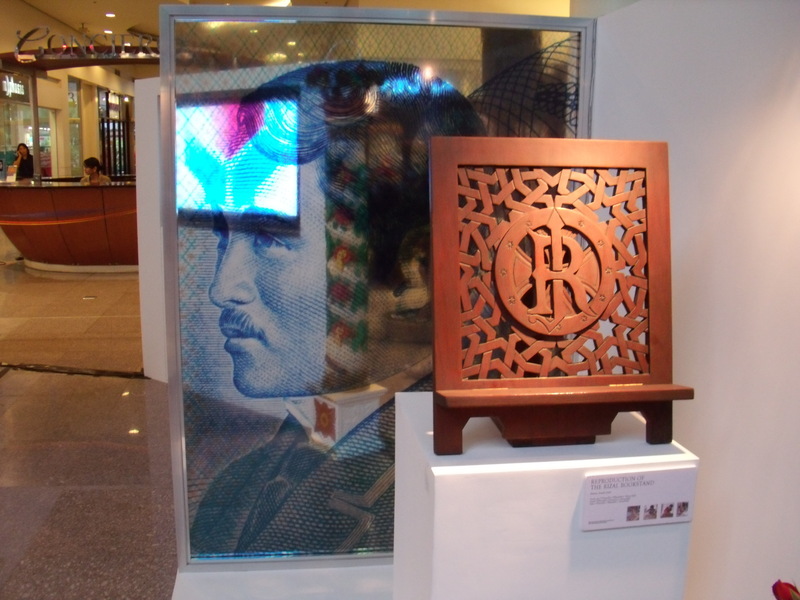 The exhibit featured the works of students and graduates of Escuela Taller de Intramuros, opening with a reproduction of National Hero Jose Rizal’s wooden book stand. 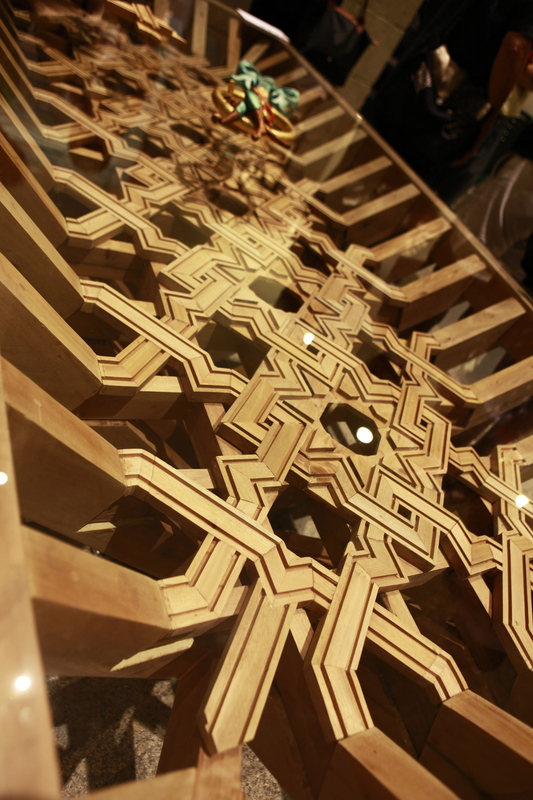 Guests of the exhibit greatly admired other products such as a table with intricate woodwork, stone sculptures and metal lamp stands that had many inquiring if some of the pieces were for sale. 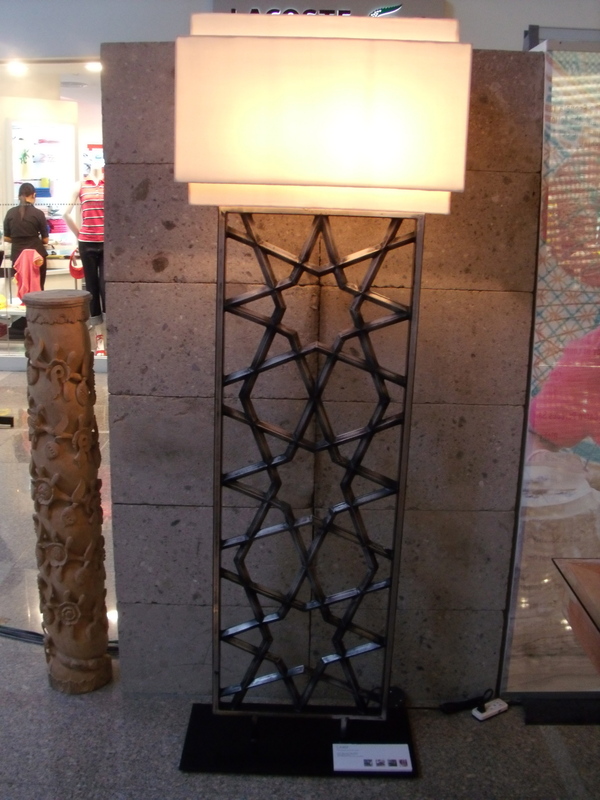 Some even expressed interest in commissioning some of the work for the offices and residences. Although ET cannot sell the products from their workshops or accept monetary donations, it does have plans to form a placement agency, a co-op (to sell some of the students’ work) as well as a foundation. For now, it is the school’s goal to shed light on its scholars, the skills they have acquired, and most importantly, how the youth — given the right skills — can ensure our past and our heritage is never forgotten. Escuela Taller de Intramuros is a collaboration among Agencia Española de Cooperación Internacionál para el Desarrollo (AECID); National Commission for Culture and the Arts (NCCA); Intramuros Administration (IA); Technical Education and Skills Development Authority (TESDA); and the Department of Social Welfare and Development (DSWD). For more information on Escuela Taller de Intramuros, e-mail etintramuros @gmail.com or visit etintramuros. wordpress.com.